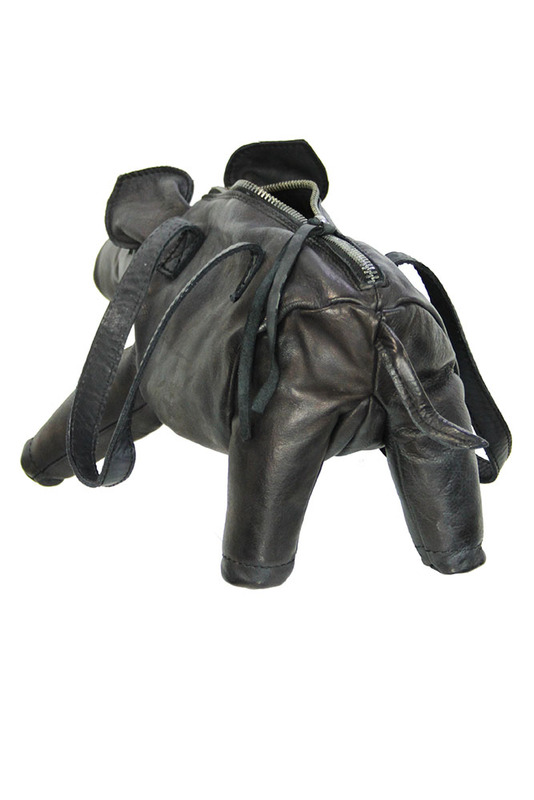 Barbara Bologna pig bag in black leather. 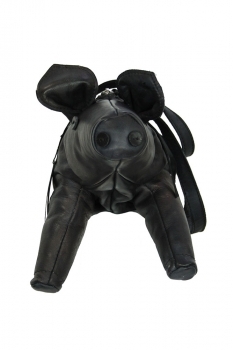 Beautiful leather bag in the shape of a little pig. Heavy duty zip with leather pull. 2 leather handles. One eye is a round leather button, the other is a stitched cross, the poor little pig is blind in one eye ahhh. Shaped leather ears, filled stuffed legs and a little curly leather tail. Inside is lined in black cotton, with a zip pocket and a leather Barbara Bologna label. A fantastic, lovely bag, which no one else will have.